From fringe man and scapegoat to much-adored nailed-on starter. The transformation of Moussa Sissoko in recent months is remarkable. 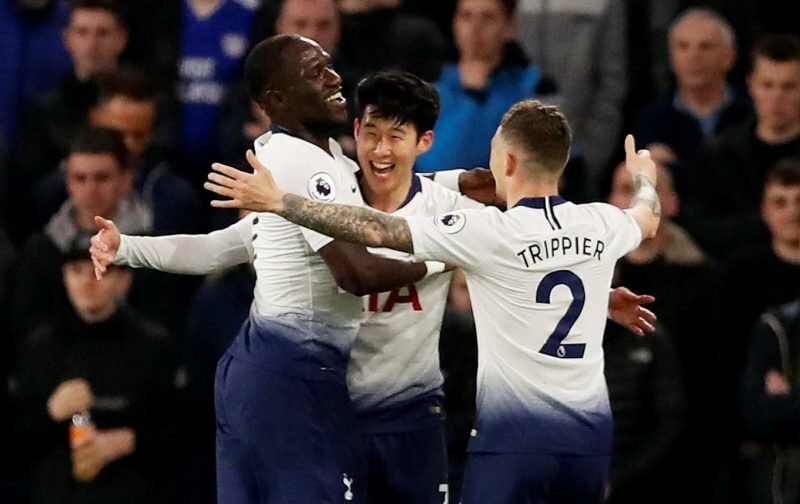 The midfielder delivered another colossal display in Tottenham’s 3-1 Premier League win over Leicester City on Sunday, providing power, energy and ball-carrying excellence to steer his side to a fourth consecutive triumph in the competition. The France international has now started 18 league matches this season, more than any other Spurs midfielder, and is truly in the team on merit after initially being given an extended run in the autumn due to a slew of injuries to senior players. Sissoko has not actually scored this season – from 27 matches in all competitions – and supplied just one assist. For someone who gets into such good positions, that’s a pretty wretched record. But Spurs fans who once doubted him now love him for what he does for the team, as their comments on his stark improvement make abundantly clear. You was a beast in our midfield today Moussa, you and Winksy covered every single blade of grass. ???????? Moussa what can I say. You have been amazing and today were my man of the match. Monster performance again ??? ?